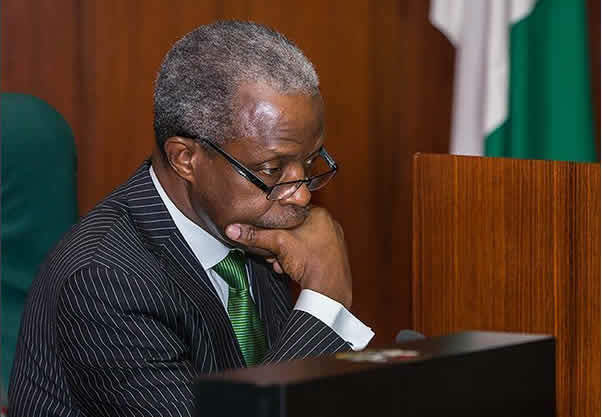 He said under no circumstances would he give up his faith but would rather vacate his position as the nation’s Vice-President at the slightest attempt to cause him to abandon his Christian virtues. One of the speakers, the Catholic Bishop of Gboko, His Lordship, Williams Avenya, had reminded Osinbajo of the then-presidential candidate of the All Progressives Congress, Muhammadu Buhari’s campaign promises that he would not Islamise the country and would protect the interest of all Nigerians including citizens of minority ethnic groups if voted into power. Avenya noted that the killing of Christians and members of the minority ethnic group particularly in Benue State had proved that the Federal Government under Buhari was not living up to these promises. Facing Osinbajo, the bishop said, “The point I’m trying to make is that a day is going to come when you, as the Vice-President, will bear the brunt of that problem of injustices in our land, especially those perpetrated on smaller ethnic groups that have no one to fight for them. Responding, the vice-president said, “My Lord Bishop, you said you are not a politician, I am also not a politician. As a matter of fact, I’m also a priest and I’m a Christian, a born again Christian. Because I’m a born again Christian, my destiny is not determined by any man but by God who I serve. “You can take that to the bank. Even the position that I currently occupy, I did not ask for it and I’m prepared to leave it at a short notice. “It doesn’t mean anything. I became a born again Christian after I became a professor, a professor of the law of evidence, a professor of proof. “But when the Lord Jesus Christ met me, He persuaded me by showing me clearly that there is such a thing as the evidence of things that are not seen. “It is because of the evidence of things that are not seen, it is because you can make something out of nothing that I stand here today as Vice-President. The Vice-President, while reacting to the issue raised by another speaker, Dr. Magdalene Dura, that the invasion of the state was an ethnic agenda, said no one would deliberately kill his own people. “I do not accept and I do not believe that there is an agenda. No one will deliberately kill his own people. No one will do so. But we cannot bring back the dead but we can make life more bearable for the living. “This is why coming here today at the behest of the President is first, to look at the situation myself, to get a first-hand view of the situation because the President has mandated me to take this on board and deal with the issues,” Osinbajo added. In his remark, Governor Samuel Ortom appealed to the Federal Government to ensure that peace reign in his state.